I’ve recently realized that I’m tired of waiting. 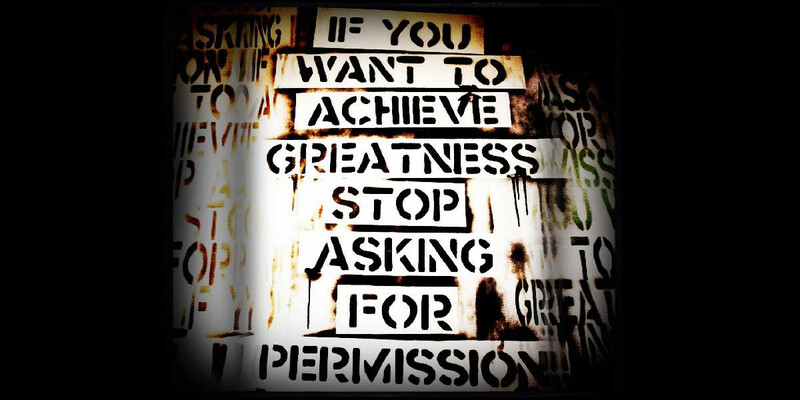 Tired of waiting for permission to do something bigger than myself. I’m over it. Stick a proverbial (not literal) fork in me because I. Am. Done. You see, I’m a dreamer. And more often than not I find myself dreaming up these big crazy schemes, only to talk myself out of ever pursuing them because I’m not qualified. Or so I thought. Well, that’s a bunch of crap. And I came to this epiphany while on the back of an elephant, moseying through the jungle, half a world away. I was awestruck with the experience I was having (see previous post – long story short I rode an elephant through the jungle and it was wonderful and life changing). As my mind was racing to capture every second to relive in my memories I found myself thinking a lot about the man who was “steering” my elephant. And then it hit me. He’s probably not “qualified” to be an elephant trainer by my western standards. But he was nailing it. Steering the elephant with ease (and no shoes or harness I might add), and grinning the entire time. He literally lives in a tree house in the jungle (we went by their village – it was beautiful in it’s own way. So simple, surrounded by the beauty of the jungle). And he rides elephants for a living. He doesn’t have a degree hanging on the wall saying he has trained for years to know all there is to know about elephants. He just does it. He didn’t wait for the world to give him permission to do something so risky. (Just hopping on an elephant and deciding you are going to train it to give tourists rides has some serious risks – mainly an elephant could kill you with great ease if it felt so inclined.) He and his friends in the village just do it. They didn’t ask for permission. Seems like there is a lesson (or three million) to be learned there. As I was recounting this crazy experience with my buddy Brad we were both marveling about this silly idea that people think they need to have permission to do cool things. Did the Wright brothers have a pilot’s license? Of course not, no one had mastered the art of flying before that. Those crazy boys just decided they were going to fly, and they did it. So going forward I’m giving myself permission to jump head first into those crazy dreams. Because I am qualified. I’m as qualified as the next guy or girl who has the audacity to dare to dream. So as a part of my complete protest of being an adult I am going to grant YOU (yeah, you reading this post – you lucky dog) permission to dream crazy dreams and then run headlong after them. Heck I’ll even join you on the journey. Let’s shake things up. Because if no one would have followed those crazy guys in the jungle they’d just be walking their elephants all alone. And what’s the fun in that? So let’s just agree to give ourselves permission to dream and to create without caution. What’s the worst that could happen??? Harmony Hensley has a background in vocational ministry, para-church non-profits, design, sales and marketing, and has personally dealt with the stigma of disability. She has helped launch inclusion ministry initiatives in churches across the country and currently serves as the Senior Project Manager with Rebel Pilgrim Creative Agency, sharing stories that spark hope and action. She is also an Ambassador for 99 balloons, seeking to change the story of disability globally. Harmony is a sought after speaker, having spoken at national conferences such as the Accessibility Summit, Engage, Orange (2011), the NACC (North American Christian Convention), Through the Roof (Joni & Friends), SOS (Summer of Service), Be the Difference (anti-bullying program in public schools), and various churches across the country. She also consulted with the Tim Tebow Foundation for their “Night to Shine Prom” outreaches in 2015. 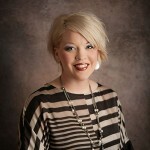 Harmony holds a dual degree in Ministry Leadership and Biblical Studies from Cincinnati Christian University and has also previously consulted with Key Ministry, as well as Christian Churches Disability Ministry. She is a contributing writer for Rebel Storytellers and lives in Cincinnati, Ohio with her husband Skyler, and son Ransom.